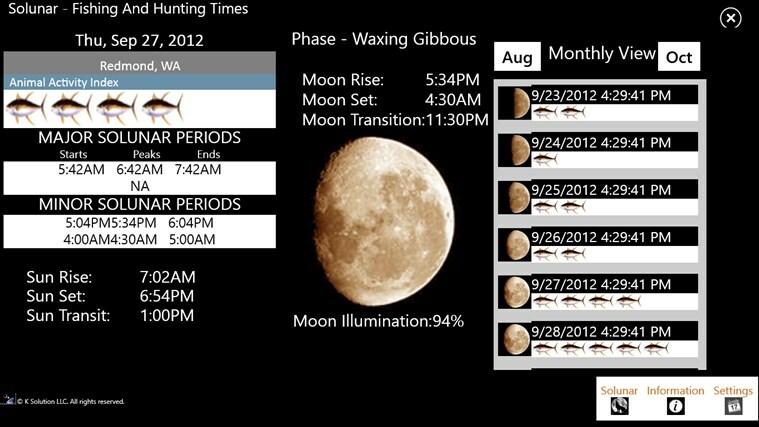 The Solunar Theory is a hypothesis that animals and fishes move according to the location of the moon in comparison to their bodies. 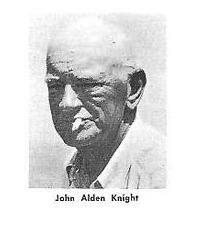 The theory was laid out in 1926 by John Alden Knight, but was said to be used by hunters and . This new technology has allowed the Solunar Theory to generate hunting and fishing times with much greater precision It is important to note that data in tables found on various websites should be re-verified periodically with US Naval Observatory available data as well as compared against other reputable solunar data providers. Inconsistencies abound due to the complex nature of the Astrophysics computations and overlooked associated anomalies checking that are required to produce useful results. Moon Transits which do not occur for more than a day or associated times being off more than a few minutes are indications of a fundamental issue for a given position and should be suspect. All data providers should be verified before assuming data presented is authoritative or accurate.